Successful double blind clinical trials prove it. Numerous randomized double blind clinical trials have showed efficacy of the TerraQuant® on various health conditions. An 88% positive effect was demonstrated in studies done on the efficacy of the TerraQuant® in relieving pain caused by arthritis of small and medium joints. Click here to see the study. 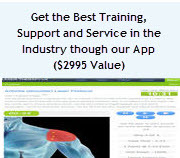 There are dozens of additional clinical studies and papers available for your review on this site. In addition to specific studies on the TerraQuant®, over 4,000 studies have been conducted worldwide to validate the effectiveness of laser therapy. 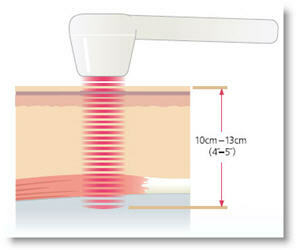 The goal of cold laser therapy is to deliver light energy units (in photons) to damaged cells. Photons are absorbed by the cells and stimulate the mitochondria to accelerate production of ATP. The biochemical increase in cell energy helps accelerate the bodies healing process by transforming cells from a state of damage to a stable, healthy state. All the TerraQuant® systems are turnkey systems, meaning they are easy to set up and use. The TerraQuant console has two ports that allow for simultaneous use of 2 emitters. The TerraQuant® family of products include emitters for various applications from pinpoint probes to large treatment emitters. 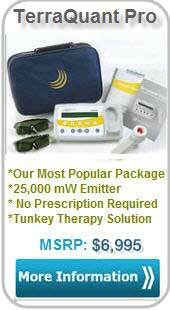 Treatments are painless, drug-free, and non-invasive. Most importantly, they are effective. TerraQuant laser therapy products are offered at a lower price than other competitor's products due to the volume manufactured. Efficacy, ease-of-use and profitability have been realized in practices coast-to-coast and in over 30 countries. TerraQuant accessories add more features and benefits to the incredible value of their professional laser therapy packages. 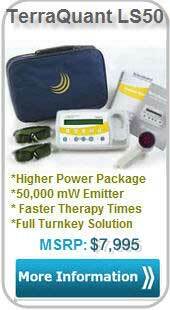 These accessories will let you experience the full potential of the TerraQuant control units. See all the MR4 and TerraQuant accessories. 1. Super Pulsed Laser (905nm) produces a high power level of impulse light at a billionth of a second. It is the high power during each pulse that drives the photons, or light energy, to the target tissue, up to 10-13cm (4-5 inches) deep. The TerraQuant's high peak power of up to 50,000mW creates a higher photon density, delivering the highest concentration of photons for healing and providing the deepest tissue penetration. Super pulsed laser strongly influences pain reduction, the improvement of microcirculation and increases cell metabolism in the form of ATP production. 2. Pulsed Broad Band Infrared Emitting Diodes (875nm) penetrate shallower tissue depths than the laser but provide an overall broader spectrum, when compared to laser radiation, by gently heating the surface tissue layer. 3. 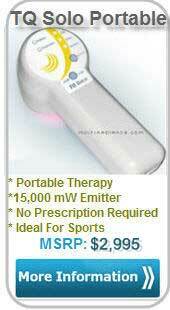 Pulsed Red Light (660nm) penetrates shallower tissue depth and has beneficial anti-inflammatory effects. Working synergistically, the multiple radiances of the TerraQuant® Laser Systems create the optimal biological environment for accelerated healing and pain relief. The use of the preset frequencies, allow clinicians and home users to control the depth of the therapeutic energy from the surface up to 13 cm (5 inches) deep. TerraQuant® is the laser therapy standard worldwide.